Affinity Federal Credit Union Chief Brand Officer Jacqui Kearns answers to the real boss: the firm’s members. By its very nature, Affinity Federal Credit Union has an obligation to listen to its customers—the company’s consumers are more than merely clients; they are members with a vested interest in the business’ success. And no one has her ear more keenly tuned to customer feedback than Jacqui Kearns, the company’s chief brand officer. She oversees Affinity’s marketing, product development, member experience channels, retail and investments, and listens to members every step of the way via various multimedia channels. Whether it’s through face-to-face interactions or one of the company’s social media channels, Kearns and her staff constantly strive to get a clearer sense of the “member experience” and how to improve it. She hones the image of a company that has 15 branches, more than 133,000 members and total assets exceeding $2.3 billion. To keep growing, Kearns says the company needs to place a high value on members’ insights—even when the feedback is sometimes tough to hear. In the credit union model, members own part of the company. At Affinity, members have a voice when it comes to board appointments. Two members sit on the board nominating committee and interview members who have the potential to join the board. Members may serve on the board if they are qualified to do so. Customer Strategist: What’s your approach to the customer experience? How does the Affinity brand fit into that? Jacqui Kearns: The key is putting yourself in their shoes. Viewing every situation through the customer’s personal lens, whether that be considering their desire to save long term or currently experience a disruptive financial event, is crucial to understanding their wants and needs. Ultimately, this is how Affinity deciphers what products and services will best serve our members, by selecting every product or service that goes to market with the customer’s lens on. Making choices about what goes to market might sound great on paper, but are you really meeting the needs of your customers? CS: How do the specifics of your job relate to the larger Affinity organization? JK: As the chief brand officer, it is my job to unite every piece of the Affinity brand under one cohesive mindset. One key part of my role is to ensure the unified brand message is being represented through every member-facing team. By having a regular dialogue with members, we are able to execute strategic plans that stem directly from what the members want. For Affinity, this is a new way of thinking. We are bringing every piece of our organization together to always ensure the member experience is first and foremost. CS: How have you seen your role evolve to be more collaborative with customers? JK: My role has changed immensely, as I am now immersed in member dialogue every day. When you receive real-time feedback, there is a renewed sense of urgency to please the members. It is essential to build a dynamic, both internally and externally, that places that same urgency on the customer experience. CS: How much do customers want to be actively involved in brand development? JK: Customers have moved to the front lines of brand development. Particularly with credit unions, we have the unique benefit of our members being involved in every step of our business, that’s what credit unions are built on. We want to hear from people both formally, through research and focus groups, as well as informally, through face-to-face communications and social media. Social media have opened a whole new door for feedback, which I see as a benefit. Whether the commentary be good or bad, as a business we can use customer feedback to make changes and grow as an organization. CS: What are some examples of changes to products or services that came as a result of member dialogue? JK: Mobile deposits have been improved based on member feedback. We’ve made the hold time for the deposits shorter, giving members access to the deposited money sooner. Also within the online banking capability, we’ve added the ability to add notes to transfers. This was a member-requested function to help them better organize and label their transfers. CS: What have been your biggest challenges? JK: The two biggest challenges I’ve faced are resources and time to market. You will never have enough resources. There will always be more members than there are staff members. Finding ways to remedy this challenge have included improving our online portals, so members are receiving the same quality of support as they would in person when they are engaging online. When it comes to time, there is a rapid pace that exists in this industry. 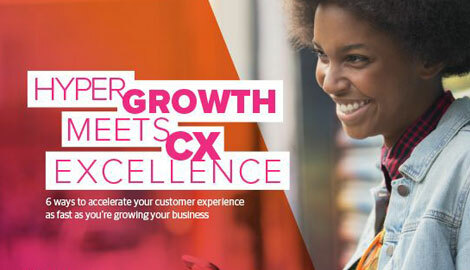 It is important to keep the customer experience top of mind even when there are evolutions to the business model. Customers have a tendency to distrust the process that companies use when considering what goes to market. It is key to showcase that our main goal is always to improve the financial lives of our members. CS: How do you measure success? Are there any successes of which you’re particularly proud? JK: Success comes from customer satisfaction. At Affinity, we are constantly seeing feedback from our members. We make every effort possible to ensure that these members are coming back with positive experiences, and when they aren’t we use that information to react. It is important to consider success as a process, not one destination point. CS: What’s your advice for brands trying to better engage customers? JK: If I had to give a piece of advice it would be to not be afraid of the customer. Many people have a fear of feedback or fear that they will not be able to overcome a negative experience. Having an open dialogue with your customers can lead to far more benefits than downsides. When you chose to represent an authentic brand and remain transparent with your customers, they will open up to you and put their trust in your brand. That’s when customers turn into advocates. CS: What is in Affinity’s future? JK: At Affinity, we view the member experience in three phases: member advocacy, member delivery, and the member journey. Member advocacy begins when someone begins to think, act, and feel like a member of our Affinity family. We can use their personal feedback to help tailor and shape the member experience to delight them...We are constantly surveying our member base, as well as non-member groups, to learn about satisfaction measures. Next is building a structure around member delivery...Currently, we have an omnichannel approach to our credit union; taking our member experience past the branches onto the internet and mobile. Our goal is to have a member be as satisfied in the omnichannel space as they would be sitting down to speak with someone in person. The member journey is all about constantly evolving. At Affinity, we want to continue to evaluate what we are doing and be able to make improvements based upon what we’ve learned from every member-facing effort.